IHA’s research policy is focused on internationalization, the promotion of basic and applied research, knowledge transfer and the expansion of funding sources. 1) IHA will further increase its internationalization by continuing to support the productivity of its researchers. Publishing scientific articles in international peer reviewed journals will be encouraged, along with the submission of papers to international conferences. Consistent support will be given to researchers through funding mobility and articles translation. Concurrently, the application for international scholarships, and moreover for European projects supported by foreign consortiums will also be encouraged and consistently backed by the management office. The latter is closely associated with the intended optimization and expansion of the networks in which IHA, or its members, are affiliated to (RIHA, INCCA and NeCCAR). Besides giving a relevant background to the proactive attitude IHA will take regarding the construction of European research projects, these networks are also taken as key platforms both to attract foreign scholars and PhD students to sojourn with us, and to facilitate our researchers international mobility. International visibility of IHA’s research will furthermore rely on the programmed creation of open access archives that will make our work internationally available, and on the consolidation of Revista de História da Arte/Art History Journal as a highly qualified peer review forum open to national and international community. 2) IHA’s policy regarding knowledge transfer demands thoroughly appraising the new challenges posed by the information society and the priorities of Horizon 2020. On this basis, relations with schools, museum and heritage institutions, and business areas (like conservation and restoration and publishing houses) will be establish, or reinforce through our researchers, while also taking care of the dissemination of existing and prospective multimedia products originally created within IHA. In other words, interaction with new technologies will be fostered, so that differentiating contents backed by IHA will eventually appear, and became available to school communities (used as pedagogical tools). Openness to civil society will furthermore seek to diversify IHA’s financing solutions for new projects, or short-term scholarships. Strategy on this matter is primarily related to the unfolding of R&D projects. 3) Besides permanent encouragement and support for the application of research projects funded by the national or European agencies, IHA has been developing, and will continue to foster, the submission of internal competitive calls for short-term investigations. These micro-projects have a maximum duration of 12 months. An external scientific committee reviews the submitted applications. Up to 5 micro-projects can be approved each year, depending on the amount of funding required. Key criteria for the approval of these projects are the intended partnerships with other institutions, the opportunities opened for research training (engaging PhD, MA or BA students in internships or other research opportunities), commitment towards the international dissemination of research results and/or the reinforcement of priority areas such as museology, heritage, conservation, urban regeneration, and the production of scientific contents relevant to cultural tourism or junior education. The latter will be backed by a web application development commission, destined to support IHA’s commitment towards applied research. Another IHA’s supportive structure will deal with exhibition programming, an activity that must be, nevertheless, financed through institutional partnerships and cultural patronage. 4) As stated above, the consolidation of IHA’s journal (RHA) as a highly qualified peer review forum remains a strategic focus of IHA’s policy. As such, together with its commitment towards RIHA-Journal, which is indexed both in Scopus and the Web of Science, IHA is working on the recognition of RHA by key international databases (Scielo for start). RHA is by now the most important Portuguese journal on art history, not only because its format and resources have been consistently upgraded, but specially because it is now a peer-reviewed publication in accordance to RIHA’s 2011 resolution for Measuring Quality in Art History (each thematic number results from a CFP, and articles are submitted to double blind peer review processes). Other major orientations of IHA’s publishing policy include both the paper edition of PhD thesis in Portuguese – one thesis per year selected by an external scientific committee –, and the reinforcement of on-line editions, namely through expanding the existing W series of RHA, and the creation of a new collection of monographs destined to cover all areas of research supported by IHA’s 6 groups. 5) IHA is furthermore involved in several PhD programs (1 international program of the Barcelona University), which are key to the promotion and development of both fundamental and applied research, while allowing a continuous flow of PhD students to became actively engaged in research activities. All 6 IHA’s research groups are consistently supporting the FCSH’s PhD program on Art History, and its current specialization areas on Ancient, Medieval, Modern and Contemporary art, as well as on Museums and Artistic heritage and Art Theory. Moreover, IHA is associated to other 2 FCSH’s PhDs, namely the Urban Studies program (a joint venture with ISCTE-IU) and the Art Studies program, which is directly supported by FCT scholarships. IHA is also partner in another FCT PhD program running in Univ. Nova de Lisboa Science and Technology Faculty, via the Conservation and Restoration Department. In 2014, IHA will submit a PhD program to this FCT call, as means to reinforce research produced in the areas of museology and heritage, while also establishing (or extending) partnerships with key private and public institutions in these areas (museums, heritage sites, city councils, etc). This application is also relevant to reinforce applied research focus. 6) Finally, a decisive encouragement for research occurs within the scope of ongoing research projects funded by FCT. As such, the implementation of IHA’s research policy is strictly connected to them, as well as to the capacity of presenting new projects, both to FCT calls and European ones. IHA current structure namely through the definition of 2 transversal thematic lines seeks to create internal synergies in order to promote such new applications. (a) the Catalogue Raisonné of the Gulbenkian Foundation Exhibitions resulting from a partnership between the Gulbenkian Foundation and the IHA (via MuSt group); this project will launch a call for several grants funded by both institutions. 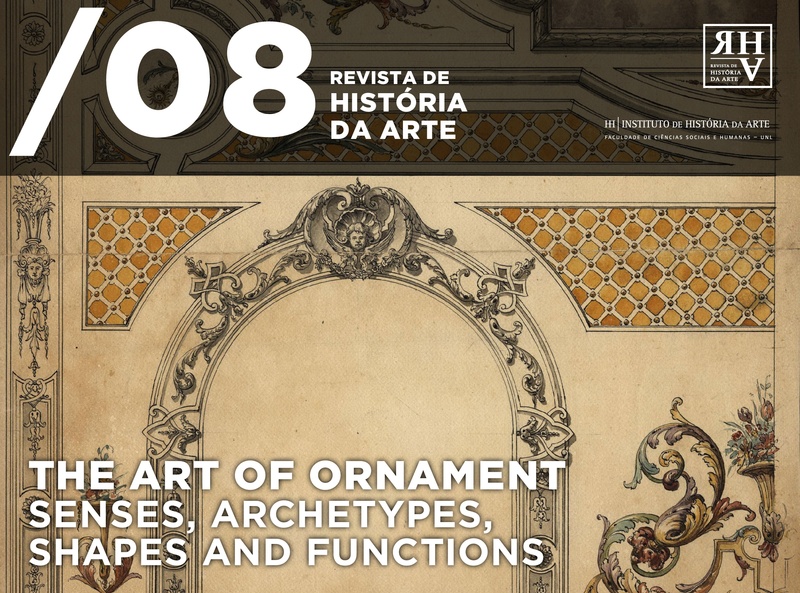 Besides scientific publications and the submission of papers to international conferences, and besides contributing with seminars both to the FCSH’s MA on Museology and PhD on Art History, this project will continue MuSt’s previous work on the virtual reconstitution of the most important exhibitions surveyed. (b) the ongoing Lisbon convents FCT project (via LxSt group). This project will run until 2015. It gathers a pluridisciplinar team with several city council investigators, and will open research fellowships in order to thoroughly study the history, present condition, and future uses of convents deactivated in 1834. 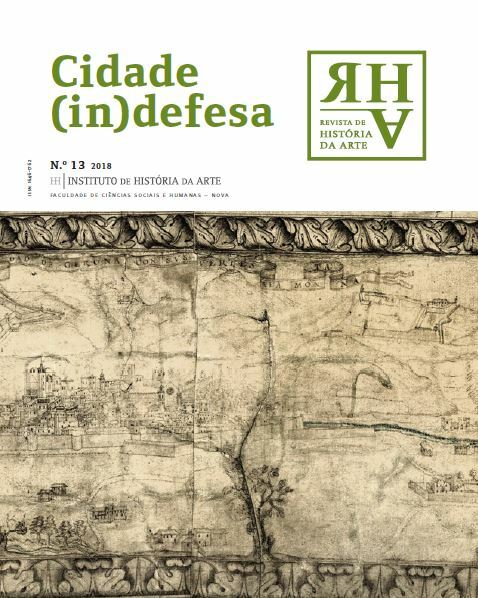 Results of the ongoing research will be presented in the 12th International Conference on Urban History to be held in Lisbon in 2014 (where project’s PI also runs a session), and other international forums. (c) the ongoing Robbiana FCT project (via Medieval and Early Modern art group). Robbiana will run until 2015, and gathers also a pluridisciplinar team, and grantees, in order to thoroughly study the collection of c.20 ceramics sculptures produced in, or inspired by, the “Della Robbia” studio. The project is very much engaged in providing an in-depth study of materials as is backed by strategic partners from CTN- IST. Partnerships established with the museums are key to the reverberation of this study in secondary education and non-specialized audiences; international publications and conferences will come out in due time. (d) the ongoing FCT Site of Discourse project (via CASt group) works as a partnership between IHA and Dinamia (ISCTE). It will run until 2015. Taking a multidisciplinary perspective, it will analyze and debate the 20th c. editorial culture of Portuguese periodicals of architecture. It includes 2 PhD research fellows, and its main outcomes will be an International Conference and the publication of a Critical Anthology of articles published in specialized periodicals of architecture. (e) the FCT Southern Modernisms exploratory project (via ArtTHC group) involves an international team and is very much oriented towards the international dissemination of its results. It will start in 2014 Feb opening 2 research fellowships.